Here at Serenity Gardens, we are dedicated to making your loved one feel at home and meeting their every need. As an assisted living focused on memory and dementia care, we have to be able to meet the varying needs of our residents. Whether your loved one needs help bathing or grooming, taking their medication, cooking or getting to the doctor, our team of caregivers has you covered. Schedule your tour at our Friendswood or Dickinson facility today! Welcome to Serenity Gardens Memory Care Assisted Living! We are proud to provide a home-like environment for the dementia patients of Friendswood and Dickinson. For those who suffer from dementia due to Alzheimer’s disease or any other cause, day-to-day living becomes much more difficult. At Serenity Gardens, our staff has extensive training in providing care for those who suffer from memory or cognitive impairment. Our caring and compassionate staff is able to anticipate the needs of our residents and provide care before they become anxious or agitated. How do we do this? With our first-class memory care services. In a home-like environment, our residents feel safe and comfortable. One of the biggest challenges of those who suffer from memory or cognitive impairment is remembering what bodily cues are telling them and remembering to eat. Our staff provides a positive, encouraging environment for residents to eat on their own terms. If your loved one has specific preferences or requests, we can meet their needs. We understand that a great deal of social interaction and enjoyment of life comes from sharing meals with loved ones. That is why we participate in family-style dining with all of our residents. Rather than an institutional feeling or that of feeling served at a restaurant or dining hall, our meal times are a family affair. We encourage our resident’s families to join as well! At Serenity Gardens, we staff caretakers that are available 24 hours a day. We provide medication administration assistance. Our medication staff is able to help our residents take their medications in whatever way they need. Each resident is assessed for their medication schedule and ability to swallow medications. From simple reminders to crushing and patiently feeding the medications to our residents, we are here to help. Enroll Your Loved One Today! 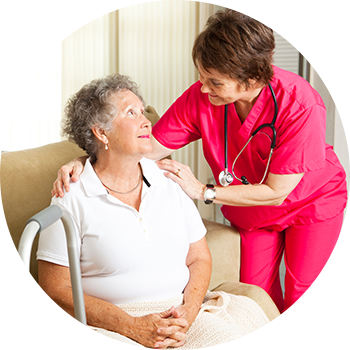 Incontinence is a common problem in those who suffer from cognitive impairment or memory loss. The mind-body signals that we take for granted disappear. If incontinence is not properly managed, it can cause much bigger problems than just hygiene concerns. Incontinence can cause infection and skin breakdown that can lead to serious wounds. At Serenity Gardens, we offer a wide range of incontinence care to meet your loved one’s needs. Due to a variety of medical problems, residents may have indwelling Foley catheters, suprapubic catheters, and ostomies. At Serenity Gardens, our skilled staff is trained in ostomy and catheter care and can ensure that your loved one’s devices are properly cared for. Monitoring the quantity and quality of urine and bowel output is important in assessing the overall health of our residents. Our skilled staff can detect nutrition deficits, change in status, and assess organ functioning by monitoring the output of waste. The proactive approach at Serenity Gardens can help detect and mitigate urinary tract infections, constipation that can lead to impaction, and nutritional problems. Total wellness includes a healthy environment. At Serenity Gardens, we offer full housekeeping services. All of our staff makes every effort to help keep our resident’s space tidy, in a home-like environment. Trash is removed each shift and as needed. Each morning, we make our residents’ beds once they are up for the day and provide clean towels as needed. Additionally, we have housekeepers on staff that clean resident’s rooms and common spaces on a rotating schedule. At Serenity Gardens, we offer full laundry and linen services in a home-like environment. If your loved one chooses to use their own linens, we will make sure they are cleaned regularly. We also have linens on hand, ready to change at a moment’s notice. To keep our residents dressed in clean clothes, we also offer personal laundry services, directly to their rooms. We handle washing, drying, folding or pressing, and neatly organizing all of our resident’s clothes. There is no better service in all of Friendswood or Dickinson! When a person lives in assisted living facilities, especially those that specialize in memory care, chances are likely that they are no longer driving. Dementia and other cognitive deficits make it difficult to operate a car, safely abide by the laws of the road, and remember where a person is driving too. At Serenity Gardens, safety is a guiding principle. In an effort to keep our residents safe while still getting the care they need, we offer assistance with transportation to and from appointments within the Friendswood or Dickinson areas. If your loved one has scheduled transportation from a different service, we can help them get ready for the journey and re-acquaint them once they return home. Occasionally, we schedule outings for our residents to explore something new, get a bite to eat at a local restaurant, or simply to get out and enjoy the scenery that Friendswood and Dickinson offer. If you have an idea for an outing, let our staff know and we will do our best to coordinate it. Feeling good is not simply a matter of optimal medical health and a sense of security. Total wellness involves the whole self, and at Serenity Gardens, we understand that our residents are much more than their diagnosis and deserve total wellness. This is why we offer beauty and barber services to help our residents feel pampered. These services are not offered by Serenity Gardens staff but are available onsite by a third party at a minimal cost. Wash and curl, cut and style, or a clip and shave, let your loved one feel fresh and revived. The staple of any good long-term care facility is the activities that help make day-to-day life interesting and keep residents engaged. At Serenity Gardens, we strive to be better than good and provide an engaging home-like environment full of family-focused activities. Our staff has a wide variety of activities for residents of all preferences and abilities to engage in. We include fun games, crafts, pets, and children to make our residents feel involved and provide purpose to their daily lives. Mentally stimulating activities are essential to combating the effects of dementia and providing a comforting environment. If your loved one has any special interests or hobbies, we can include them too! The list of services above is common of all memory care assisted living facilities. Delivered in a variety of fashions, the base services are similar. The Serenity Gardens difference is in quality delivery. For the dementia patients of Friendswood and Dickinson, we provide memory care, specializing in Alzheimer’s and dementia, in a comforting home-like setting. We care for our residents as if they are our own family, living in one home. We have house pets and encourage our residents to bring their own pets and families along. We intentionally keep our population to 16 so that we can provide the high-quality, individualized care that your loved one deserves. 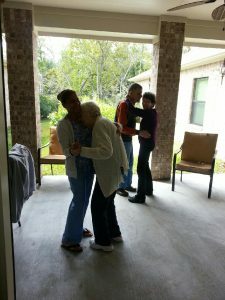 When your loved one moves to Serenity Gardens, they are home. 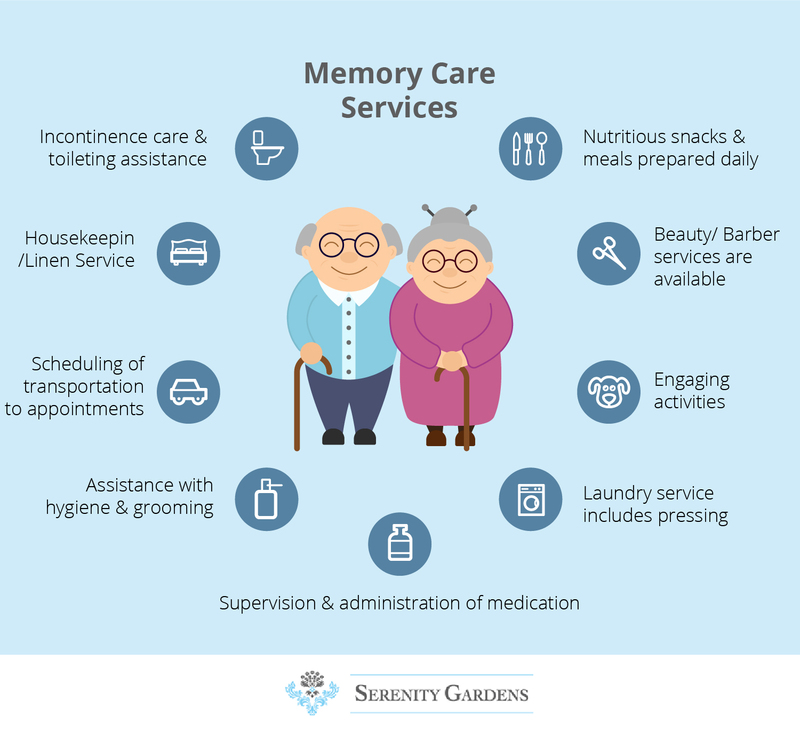 For memory care assisted living services in the Dickinson or Friendswood area, contact us at Serenity Gardens today!